I am so HAPPY and EXCITED to have you here!! Just in case you came to visit us first, here are the details! Want to find ALL the details please visit here the link to the start!! 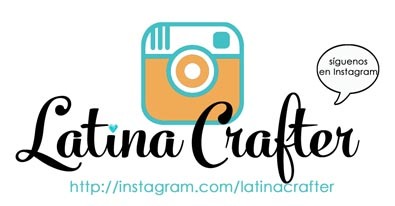 If you want to be part of this awesome hop and all the fabulous prizes, including one from Latina Crafter, be sure to check all the guidelines HERE for your chance to win! Remember that random.org will be use to select the winners, this is going to be done by the Blog Hop organizers, some blogs will have prizes as well, be sure to check those rules too, here we have a very special sale just for you!! Use coupon WINTERCOFFEE2017* for 25% of your order! coupon valid until December 22, check our store HERE!! Here if you want to go directly to the Coffee Theme products!! *Code doesn't apply to merchandise already reduced. 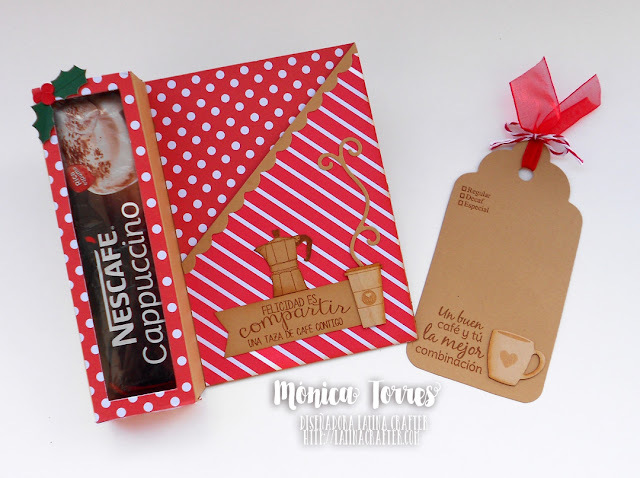 Using sets stamps "Adicta a la cafeína" and "Mini frases de Café"
Also visit Hilda, Vilma and Patry for more inspiration with the Equipò de Diseño de Latina Crafter. Awesome gift card holders. Thanks for being a sponsor too! Beautiful holders! Thanks for being a sponsor! okay, what a FABulous project! 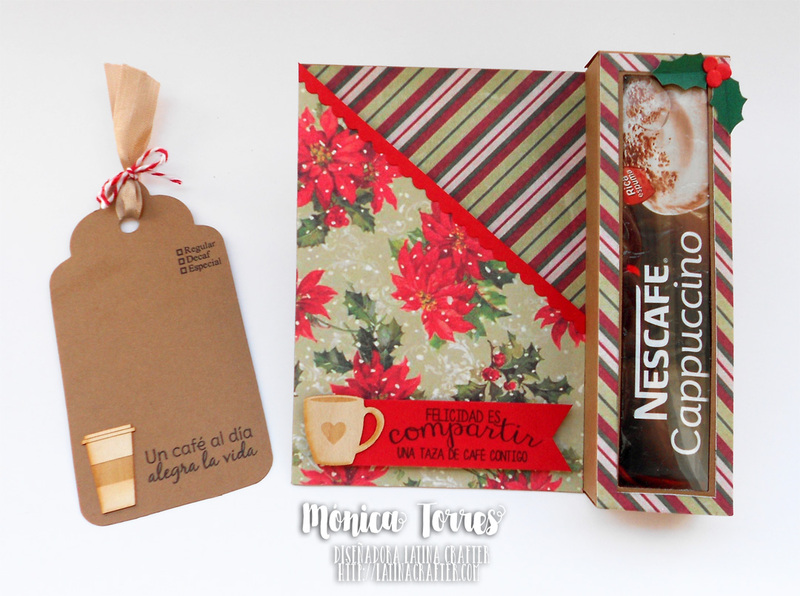 Love the veneers and the sleeve of coffee --> awesome. 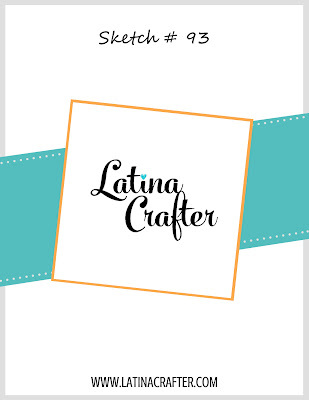 Thanks to Latina Crafter for being a Super Sponsor AND Big Birthday Wishes to Diana! Oh! Wow! Pretty wood veneers and love the fantastic projects! Thanks for being a super sponsor! great projects. love the wood veneers. Thanks for being a super sponsor. Have not seen the card with the giftbox in a while, like both of your versions of it. Great gift idea. Great papers and thank you for sponsoring the Winter coffee lovers blog hop. Those are fantastic!! 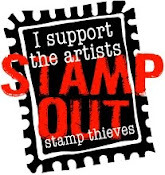 Thanks for sponsoring too! fabulous gift idea for the season. Thanks for being a super sponsor this year! Wishing you a wonderful holiday season! What a beautiful gift! Love these! Thank you so much for being a Sponsor again! Deliciously looking cards and thanks for being such a super sponsor for the coffee hop. 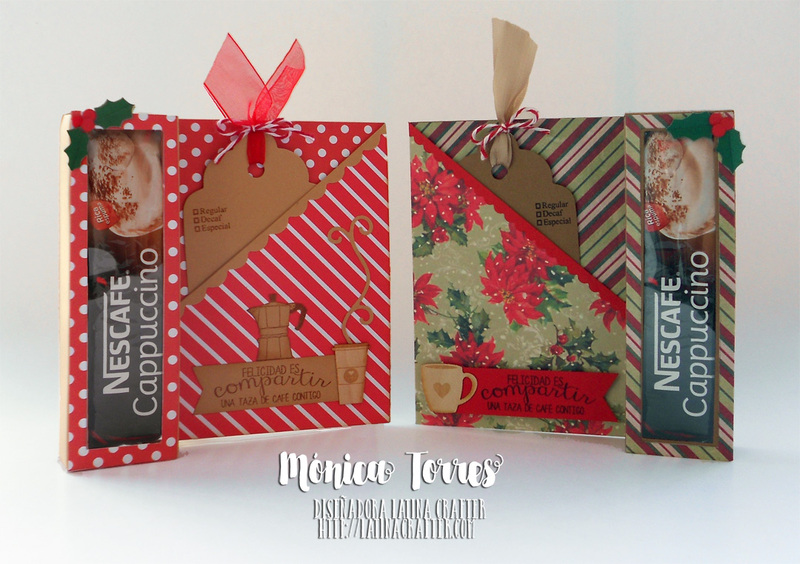 They are perfect gifts for coffee loving friends! for being Super Sponsor this season! Love the little box card! So fun! Thanks for being a super sponsor! 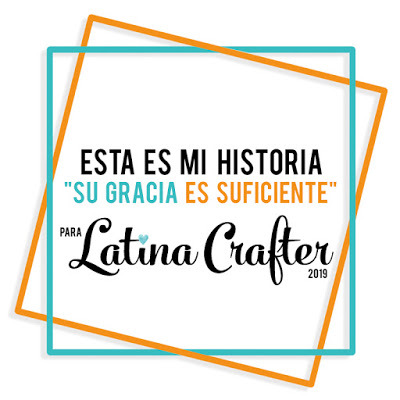 lindas tarjetas y feliz de que latina crafter sea como siempre de los patrocinadores de este lindo blog hop. What a super cool gift!! LOVE! Just beautiful. Thanks for sponsoring the hop! Fun gift idea, Monica. Thanks for being a Super Sponsor! Cute. Love the wood veneers. Thanks for being a sponsor. Super cute gift idea!! Great design and cute wood accents. Thanks for being s super sponsor!! These are terrific gift card ideas! Thanks so much for being a super sponsor too!